BUTLINCAT's BLOG: CONSPIRACY JOURNAL #918 13/08/17 - "GHOST" RUSSIAN RADIO STATION, ECLIPSE CRYPTID SIGHTINGS, IRISH "FAIRY CURSE"
CONSPIRACY JOURNAL #918 13/08/17 - "GHOST" RUSSIAN RADIO STATION, ECLIPSE CRYPTID SIGHTINGS, IRISH "FAIRY CURSE"
Once again secret information has made its way over the hidden channels that clandestinely flow throughout the deepest, darkest recesses of the planet. Information, that at times, have brought down whole governments and sent men to their torturous deaths. 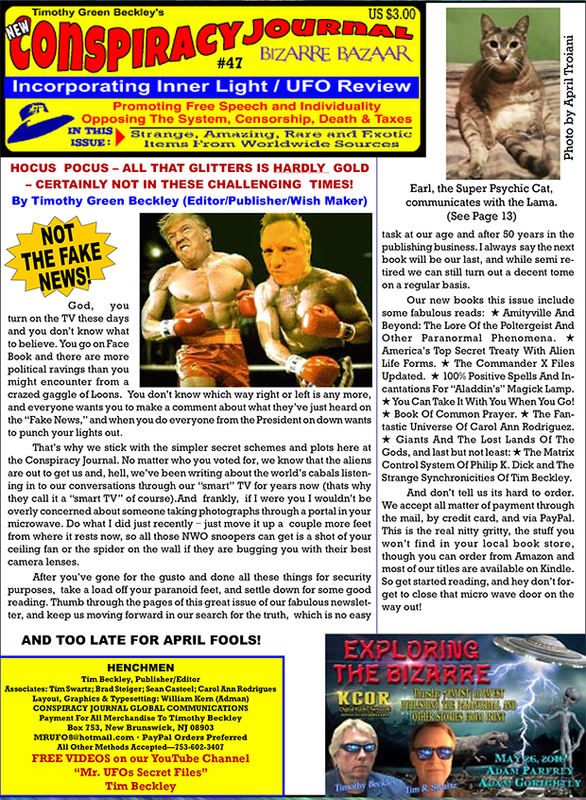 Information that has finally found its way once again to your email box in the form of Conspiracy Journal! Your number one source of all the news fit to be kept hidden. The hidden treasures of the Knights Templars cannot be estimated in terms that are realistic or that we could readily understand. Today, we speak in terms of the Rockefeller Dynasty, the Rothschild banking family, Goldman Sachs, the Clinton Foundation . . . but, even if you merged all the vast wealth of these and many more conglomerates, you would get nowhere near the vast fortune of the Knights Templars. Not only are we talking about tons of gold and silver and kingly jewels, but unimaginable treasures such as the Holy Grail, as well as the Ark of the Covenant. The Templars also organized the first banking system and many of their depositors were fabulously wealthy beyond one’s wildest dreams. They put their monetary weight behind kings, queens, and assorted nobility. They are also known to have sacked Greece and Rome of vast fortunes. This book answers many questions concerning the whereabouts of their unique treasure trove and how it found its way to the New World long before Columbus or other explorers had set sail. *** Evidence indicates that the Freemasons are closely aligned to the secret plans and ultimate supremacy of the Knights Templar. Some say they are an esoteric brotherhood hungry for forbidden knowledge. Others say they are similar to a coven of black magicians, using the dark arts to achieve their purposes. *** For many years, the wealthy Templars enjoyed the blessings of a succession of popes. What caused the allies of the Templars to turn on the knights and put their leaders to death? *** Did the Templars receive prophecies and blessings from the decapitated head of Jesus? Such is one of several legends surrounding the knights’ excavations in Jerusalem. It is also claimed they found the Holy Grail from the Last Supper and written material that proved Jesus and Mary Magdalene were husband and wife. *** In 1307, after the persecution of the Knights Templar began and they were forced to go underground to survive, it is said that they infiltrated the trade union of the Freemasons. 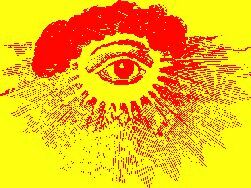 In the centuries since, the Freemasons have demanded secrecy and silence from its membership. Some say the covert rituals and covered-up occultism extends to the most highly-placed world leaders. Are we being ruled by a cabal of Freemasons? Also, read the work of Ambrose Noble, a fervent apologist for the Freemasons and a Freemason himself. 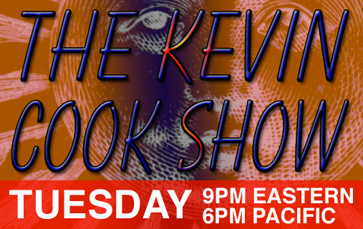 He tells the story of modern Freemasonry FROM THE INSIDE as he pays homage to what he believes is a blessed philosophy destined to overcome and rule the world. Noble claims that their spiritual truths are an open secret, based on a love of the Gospel of Jesus. But is that really the whole story? A string of mystery attacks on United States officials stationed in Cuba bears a resemblance to some carried out by the Soviet Union against the American Embassy during the Cold War. A third country, such as Russia, even could have launched the recent attacks, possibly without Cuba’s knowledge. The State Department is refusing to go into details about the nature of a “variety of physical symptoms” suffered by multiple U.S. government personnel stationed in Havana since disclosing the incidents Wednesday. It was confirmed, however, that some of the affected officials had left Cuba. (Two Cuban diplomats were told to leave the U.S. in May.) An investigation is ongoing. Deepening the scale of the incident, the Canadian government said some of its personnel had experienced similar symptoms. In a recent statement, Cuba strenuously denied playing any role in any attacks against foreign officials. “Cuba has never permitted, nor will permit, that Cuban territory be used for any action against accredited diplomatic officials or their families, with no exception,” it read. But what exactly could a sonic weapon be, and how could it cause hearing loss without any of the people involved noticing a painful audible sound? Tia Ghose, senior writer for LiveSciene, says that while the mysterious story has a lot of holes, one possibility is that the workers were exposed to infrasound, or low-frequency sound waves that are below the audible hearing range, said Charles Liberman, a hearing loss researcher at Harvard Medical School and Massachusetts Eye and Ear in Boston. According to the AP’s reporting, U.S. officials were investigating the possibility that the attacks were perpetrated by another country, including Russia. The incidents were said to have taken place in late 2016, a time when the U.S. was accusing Russia of interfering in its election. President Barack Obama later expelled 35 Russian diplomats and ordered the closure of two Russian compounds in the U.S. In the 1960s, during the Cold War, the U.S. government discovered that its embassy in Moscow had been besieged with low-level microwaves. The discovery of what became known as the “Moscow signal” led to the establishment of the top-secret Project Pandora to ascertain the effects of being subjected to such electromagnetic radiation. There were fears at the time that it may even have been an attempted form of mind control, or for the purpose of eavesdropping. However, the actual reason for the Moscow Signal has never been officially established. It could be that the "sonic weapon" used in Cuba was actually using microwaves or other electromagnetic frequencies. Russia has previously experimented with "EM" devices, which were based on the theories of Nikola Tesla. Tesla died in 1943, and the Office of Alien Property seized all of Tesla's property in fear that German or Soviet agents would get a hold of potentially dangerous papers that would lead to the creation of superior weapons. In 1952, the U.S. allowed Tesla's nephew, Sava Kosanovic, to take possesion of Tesla's belongings and return to Belgrade, Yugoslavia where a museum was created in the inventor's honor. For many years, under Tito's communist regime, it was extremely difficult for Western journalists and scholars to gain access to the Tesla archive in Yugoslavia; even then they were allowed to see only selected papers. This was not the case for Soviet scientists who came in delegations during the 1950s. Concerns increased in 1960 when Soviet Premier Khrushchev announced to the Supreme Soviet that "a new and fantastic weapon was in the hatching stage." It has been suggested that an entirely different type of weapon's system, based on Tesla's electromagnetic theories, were developed by Russia. The Moscow Signal, and now whatever was used in Cuba, may be part of this system. 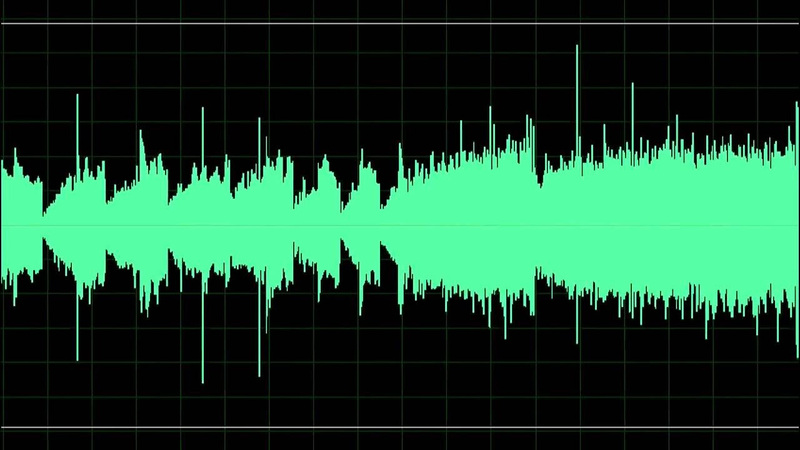 Since the 1970’s a mystersious—ghostly—Russian Radio station has been emitting a strange ‘buzzing’ noise along with the intermittent code of words and numbers. No one claims to run the station referred to as the Buzzer. The mysterious shortwave radio station broadcasts on the 4625 kHz band. The exact purpose of the station has not been confirmed by government or broadcast officials. Until this day, no one knows who or what is broadcasting the signal, which has resulted in countless theories ranging from secret Russian military bunkers to alien messages. The station is commonly referred to as The Buzzer, UVB-76 and more recently MDZhB. The signal seems to originate from a mysterious station located in the middle of a Russian swampland near the city of St. Petersburg, but before being moved to St. Petersburg, the station’s transmitter was located near Povarovo, Russia, around 10 kilometers northwest of Moscow. The truth is that throughout the years, the radio station seems to have switched locations, perhaps in an effort to remain anonymous. The radio signal occupies a frequency of 4625 kHz and has been transmitted by the mysterious Russian ghost radio since 1973. Anyone can tune into the signal. Since then, the shortwave radio has begun to emit a repetitive buzz. Rarely (once a week), the buzz stops, and a voice reads a mixture of Russian numbers and names. Nobody knows what the messages mean in Russian, nor does it emit whistles nor material from the Soviet Union’s golden age. Over time, more and more people have become obsessed with discovering the mystery behind the signals, but not even today has anyone been able to crack the mystery. There is much speculation about the nature and reason of the radio emissions, but nevertheless, the true objective of this radio station is still a mystery. The station transmits a humming sound that lasts for about 0.8 seconds, pausing from 1 to 1.3 seconds and then repeating from 21 to 34 times per minute. One minute before each hour, the repeat tone is replaced by a continuous tone, which continues for one minute until the tone repeats the sequence again. It is known that from 7:00 to 7:50 GMT, the station transmits with low power consumption. Probably when transmitter maintenance occurs. The sound generated by the station reminds one of a radio squeal along with the bustle of a boat. Instead of silencing emissions with the fall of the USSR, the station has become even more active. For at least a couple of decades, voice messages on the radio are becoming more frequent. In addition to cryptic messages, there have been occasional reports of background conversation, indicating the transmitter has staff and an open microphone. The buzzing seems to be generated manually. The likely reason for the conversations is that the loudspeaker that creates the noise is constantly placed next to a microphone, giving the world a strange view of the mysterious signal source. While no one has been able to solve the mystery yet, many talk about alien activities in the area, and even of ghosts that generate the signal and strange voices. The transmitter of the station was located in Povarovo, Russia, which was halfway between Zelenograd and Solnechnogorsk about 40 km from Moscow and 10 km north of Zvenigorod but was eventually moved to the middle of a Russian swampland near the city of St. Petersburg, where the station seems to operate from today. The location and call sign was unknown until the first voice transmission in 1997. The only thing that seems certain is that there is too much speculation, but the purpose of the emissions remains a mystery even today. It seems whenever someone attempts a film version based on one Suzuki Koki's Ring novels, inquisitive, otherworldly spirits visit the sets. * JANUARY 1999: Japan's Fuji TV aired a story leaked from the set of Ringu 2 that crew members insist occurred in October as they were filming at a cave near the shores of Arasaki beach. During the editing of a scene in which two actors walk into a cave, the sound technicians picked up an eerie voice which apparently came from a microphone that was over the ocean. The male voice keeps whispering Ri-ka-ko. Local fisherman claimed the cave was a popular suicide site and that many people have heard the voices of the unquiet dead. * DECEMBER 1999: The story of the haunted cave brought a flood of calls from fans of Ringu who claimed they'd seen evidence of an unplanned haunting in the first movie. The Japanese reality TV show Unbelievable aired a special on the unexplained image that appears during a scene in Ringu. It was a ghostly, disembodied head reflected in a pane of glass that clearly has a gaping mouth and small cleft in the chin. * DECEMBER 2002: An apartment complex in Tokyo was consumed in flames injuring four people. The source of the fire turned out to be the apartment on the second floor that was used for filming in Ringu. * MAY 2004: Hideo Nakata was filming The Ring 2 in the seaside town of Astoria in Oregon. The film's production office was mysteriously flooded as was the make-up truck reserved for Naomi Watts and Simon Baker. Nakata says that "because we were making a movie about cursed, evil-spirited water these unexplained floods freaked us all out." Nakata quickly sent to his native Japan for a Shinto priest to come to the set to purify it. Things settled down, but only for a while. * JUNE 2004: A swarm of thousands of bees suddenly invaded a props truck in Astoria, disappearing as quickly as it had appeared. A huge water jug exploded in the production office. * JULY 2004: On the Universal Studios lot in L.A. where the final scenes were being shot, a costume department employee was charged by an antlered buck that had wandered onto the lot from the hills. This mirrors a scene in The Ring 2. Nakata's response to all these eerie occurrences is simply that "we're used to such things. During the shooting of Ringu 2 we all thought we overheard a ghost's voice." In the mid-seventies, the English channel was the venue for a secret and amazing psychic cold war incident. The channel is the busiest shipping lane in the world and many incidents happened there during that period, but an occasion occurred that still baffles intelligence personnel. A warning light on a marker bouy had gone out and Trinity House who deal with the bouys, had to send out a small boat a.s.a.p. to put it right. When they reached the bouy, they found that a nearby Russian trawler was casually using it as target practice for small arms fire. The Trinity House repair crew quickly retreated back to the bigger boat, and on looking through binoculars saw the Russian trawler was bristling with concealed armaments. The Admiralty decided to ask a passing U S aircraft carrier to put itself between the bouy and the trawler, so repairs could be made on the bouys light. The bill for the hire of the U S aircraft carrier to the British admiralty was £3000 per hour. Some years later on defector evidence it was said that the whole operation was 'controlled and psychically overwatched' by Wolf Messing trained thought transmission operatives on board the trawler. The Russian society for experimental psychology, founded in 1891, went underground during the communist oppression when officially such things were frowned upon. Yet over the next 60 years advances in psychic techniques and disciplines were sharpened and honed by soviet scientists to an astonishing degree. Soviet documents describe such things as 'motor impulses', which we in the West call telepathy and had advanced to such a point that restricted documents show successful tests in sending messages from submarine to surface, and even mentally intercepting the feel of U S sent coded message traffic. How the West came to discover this was an interesting story in itself. A senior Soviet operative from Directorate One, the department that ran the psychic testing, was continually passed over for promotion due to his very poor birth. His mother, a cleaner in the building, took away scraps of paper and smuggled them to the west in revenge. Vladimir Durov, with his animal and people mental tests, showed the value of mental influence and in Britain in W.W.II Alexander Cannon as part of Churchill's occult 'Black team' showed something similar in his lecture called, 'Proving the Impossible Possible'. This news held the British war dept in a state of shock. Famous Neuropathologist Vladimir Bekhterev was forced into the 'thought suggestions' programme, by communist hardliners. In military terms any psychic operations are called Psychotronics, and Bekhterev became head of the Brain Research Institute at Leningrad, where he had unlimited funding to improve by whatever means possible the abilities of cold war psywarriors. Sensitive subjects were hot-housed in experiments round the clock day after day, month in, month out until their abilities were honed to a knife edge. The battery effect was where a team of thought transmission agents could will the U.S president to make decisions in the Soviet favour. This was demonstrated in the Cuban missiles crisis when the U.S. was stopped from using this as an excuse for an attack, as one senior defector said; but it was alright for the U S to have missiles on OUR doorstep in W. Germany? Successful usage of this was also claimed to interfere, confuse and muddle defectors statements, as in the James Angleton investigations. The defector also claimed successful testing and feasibility for the psychotronics team to stop the heartbeat of someone from across the world, in preparation for an attack on the U.S. president and others. Professor Leonid Vasiliev, Yuri Orlov and Wolf Messing have all separately been identified as part of the Soviet psychic warfare iniative. Both by A. I. Ps ( agents in place) and defector informants. 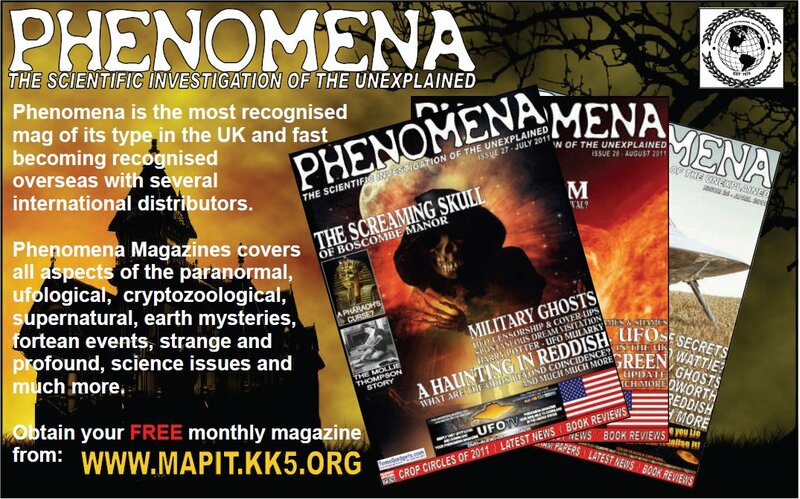 Who under the Witness protection programme have given startling evidence of developed clairvoyance, telekinesis remote viewing, telepathy and thought disruption and interference, to the point where a subject can be taken under remote control and used as the 'Manchurian candidate' of, say, a Sirhan Sirhan. Alexander Litvinenko still had a great deal to tell us when he was murdered earlier this year. Much Soviet documentation in the top secret Red papers category and now in the west has been used by Paul Mckenna and Derren Brown-type performers to amusing effect. Regrettably, many experiments under the orders of Joseph Stalin himself were carried out in Soviet mental hospitals, where subjects were said to have had their capabilities enhanced and extended to the point of madness. The Mitrokhin archives show that after Krushchev's accession in 1956 Psi research was given increased funding in secret while openly decried as nonsense. Lavrenti Beria the psychopathic secret police chief claimed Wolf Messing could read his thoughts and could yet make, train and build the greatest of all spies. In a superb article in Unexplained magazine, it states that just prior to the siege of Leningrad in 1940 Vassiliev showed that the muscles of an insect's intestines respond to electrical impulses emitted from contracting human muscles. Showing amazing connective thought between species and plant experiments also show this connection. 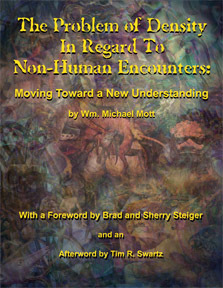 Czech parapsychologist Dr .Milan Ryzl claimed the most startling research has never been seen, particularly on suggestology, and Frank Hyde; the London Psychic; demonstrated at the U S Embassy in 1975 how he could mentally rummage the drawers in a secure room, while standing downstairs in the foyer, and re-tell what the documents said. His psychic connection to the U S space shots, if true, is rumoured still classified. In response to defector information the U.S. under several people such as General Stubblebine, began training their own psywarriors. Using much material from Britain via Winston Churchill's wartime Black Team; magical experiments, for which Prof.Alexander Cannon was put under house arrest in the Isle of Man, for talking about Black Team operations. Dr Venyami Yermolayev with his psychokinetic crew, demonstrated the levitation of extremely heavy objects by thought alone, and Dr. Venyami Pushkin documented men being lifted high into the air. He said, "as in the India rope trick." Neurophysicist Dr. Gennady Sergayev even invented a Bio-energy measuring device for testing these wonders. The first conference on psychotronic research was held in Prague in 1973 where 400 delegates attended, were told of the 'Woodpecker' device which induces mental confusion and imbalance in mind control experiments and can work over distances. But entrenched skeptics deny this event ever took place. While the U.S. government trains, uses and recognises these psi agents, it refuses to pay the ransom for the psychic who pinpointed the whereabouts of Saddham Hussein, even down to the hole in the ground. Bad luck caused by disturbed fairy forts is causing dips in a major road between County Kerry and County Cork, an Irish member of parliament has said. Danny Healy-Rae told the Irish Times that issues with the N22 were caused by "numerous fairy forts in the area". Mr Healy-Rae said he shared local belief that "there was something in these places you shouldn't touch". He added that the road passed through an area that was rich in fairy folklore and magic. The N22 is the main road between Killarney in County Kerry and Cork. In Irish folklore, it is believed that disturbing areas, said to have strong connections to fairies, could bring bad luck or a curse. These areas include fairy forts, also known as raths or lios, which are the remains of hillforts or ancient circular dwellings, and fairy trees or thorn bushes. Some people believe that destroying or tampering with these forts, trees or bushes, could lead to them dying young or becoming seriously ill. The issue was raised at Kerry County Council, where Mr Healy-Rae's daughter, Maura, is a councillor, last week. 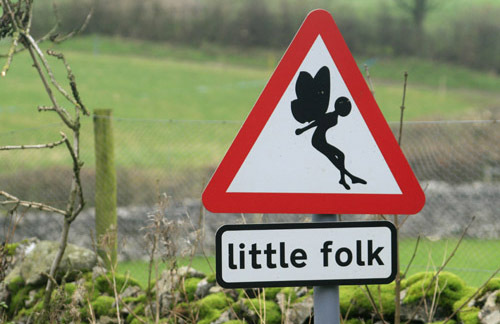 She told a council meeting that her father was convinced fairies were in the area of the road problems. Mr Healy-Rae also raised the issue at Kerry County Council in 2007 when he was a councillor, asking if a dip in the N22 near Curraglass was caused by "fairies at work". The Irish Times reports that the council's road department replied that it was due to a "deeper underlying subsoil/geotechnical problem". Mr Healy-Rae, whose brother Michael is also a TD, has previously hit the headlines for comments in which he denied any human impact on climate change and said that "God above" controlled the weather. Amid the solar eclipse's hype, which will bring millions of visitors to dozens of events happening across South Carolina this month, here's one thing you probably haven't prepared for: a supernatural encounter. And with the Carolinas' history of "Lizard Man" and "Bigfoot" sightings, residents should be aware of the possibilities. The agency tweeted a graphic Wednesday, "regarding possible paranormal activity" occurring during the solar eclipse. "SCEMD does not know if Lizardmen become more active during a solar eclipse," the agency explains. "But we advise that residents of Lee and Sumter counties should remain ever vigilant." The "Lizard Man" was first spotted in 1988 by Christopher Davis, a then 17-year-old Lee County resident, according to previous Post and Courier reports. Davis was driving around 2 a.m. one summer morning, when he got a flat tire near Scape Ore Swamp. After he finished changing it, he claimed a "red-eyed devil" appeared about 30-yards away. Davis was able to get into his car and drive as the alleged creature jumped on the roof. He threw the thing off, but said that it was able to keep up with the car at speeds up to 40 mph. Davis's story gathered international attention and reported "Lizard Man" sightings continued up to as recently as 2015, according to a story by The State newspaper. Even two police officers said they were convinced "something is out there" after having an alleged encounter about a month after Davis's experience. NASA may not be fully in the loop on South Carolina's "Lizard Man," but their Scientific Visualization Center did publish "Sunsquatch," a graphic showing exactly where one could potentially see the eclipse and "bigfoot" at the same time. With several overlaps occurring in the Upstate, it's no surprise that the Greenville Police Department warned "If you see Bigfoot, please do not shoot" in a Facebook post Wednesday night that linked to a 2015 video of an alleged "bigfoot" running through the field of a neighboring town. What's the conclusion from all of this? It appears none of these creatures have ever caused physical harm to a person, so don't fear venturing outdoors during the eclipse. So our advice is simply, as SCEMD puts it: "if you see something, say something."